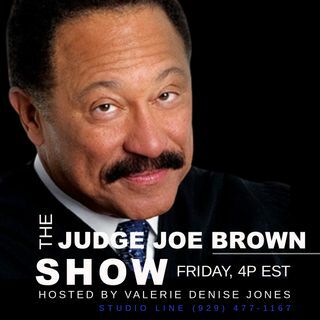 The Judge Joe Brown Show is your go-to trusted source for mature adult males ages 35 to 80. We cover legal updates, breaking news, politics and psychological media! Tune in weekly ... FRIDAYS at 4p EST. Studio Line: (929) 477-1167. Also, please visit valeriedenisejones.com for a behind-the-scenes look at all of our projects. LIKE . SHARE . SUBSCRIBE . LEAVE A COMMENT .